Architecture: Teaching By Design has allowed us to go deeper into our relationship with educators. Over a 15 month period we have been working with educators in this immersion into Art and STEM (Science, Technology/Engineering and Mathematics) funded principally by the National Endowment for the Arts and the Massachusetts Cultural Council. This project builds on the success of Architecture: Learning By Design and uses the power of local architecture as a catalyst for learning in critical academic subject areas. 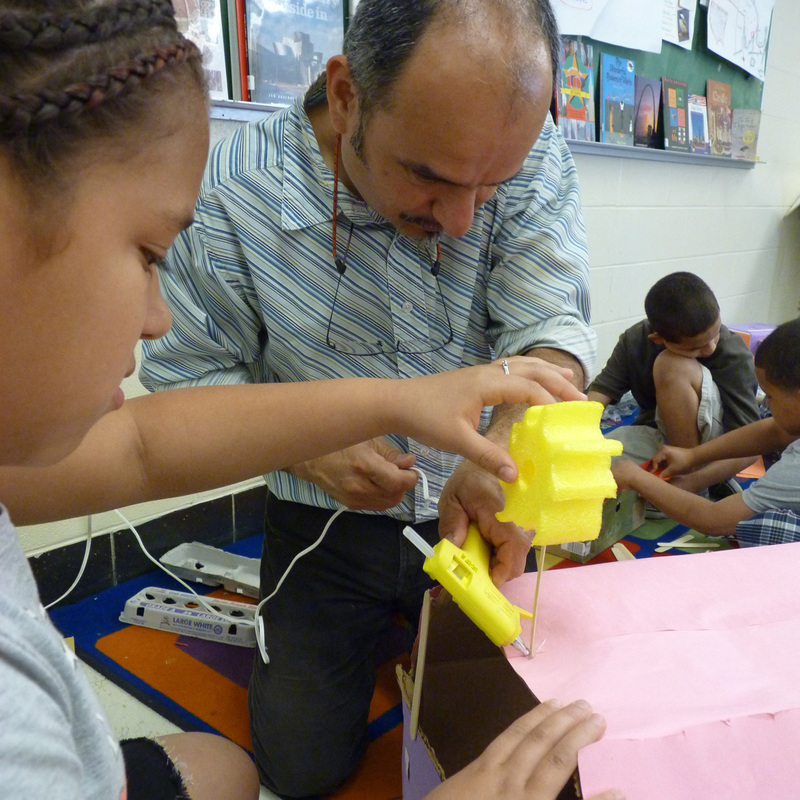 This Arts Integration project enabled educators and architects to: strengthen their ability to teach design as a 21st century skill; share projects, practices and resources with regional and national audiences; and engage students in sustainable design projects based on the architecture of their city. Beginning with intensive Professional Development, educators and architects in Boston, New Bedford and Holyoke immersed themselves in the design process: they defined a design problem, studied exemplary work of local architecture, engaged in the making of art (sketches, drawings, models, design boards, writings), then evaluated, revised and presented their work. Teachers then used curriculum mapping to connect visual arts, science, technology, engineering, and mathematics concepts as they developed design-based arts integration projects and lessons for their students. See examples of Lesson Plans below. Teachers who participated in the PD were mentored by providing planning, documentation and evaluation help, “teaching by design” resources kits, classroom visits and volunteer architects. Architects continued their training in student engagement by attending workshop sessions with LBD:MA as well as participating in Saturday workshops with families. 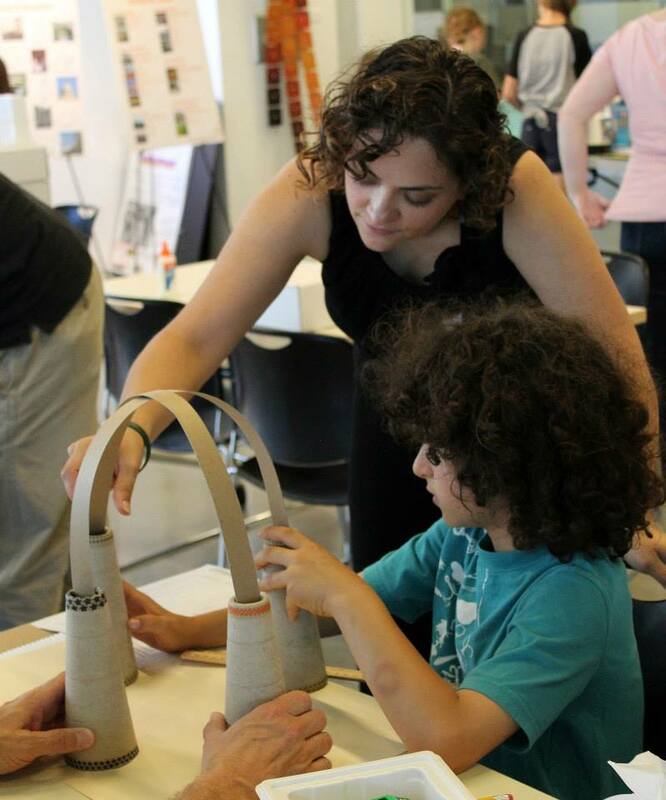 Teachers and Architects came together in Boston for KidsBuild! as families built a city from the ground up. In the spring, student workshops continued in classrooms engaging students in “Kids Design a Sustainable Future (KDSF)” activities that they refined during their PD workshop. Teachers will continue to share their work with colleagues at district-wide workshops and meetings, as well as across the web and social media. In Boston, students from the Sumner Elementary presented their projects to Mayoral Candidates at BSA Space. Box City was an amazing hands-on learning experience for the students and the teachers. ~Pamela Novinsky, Peck School fourth grade teacher. 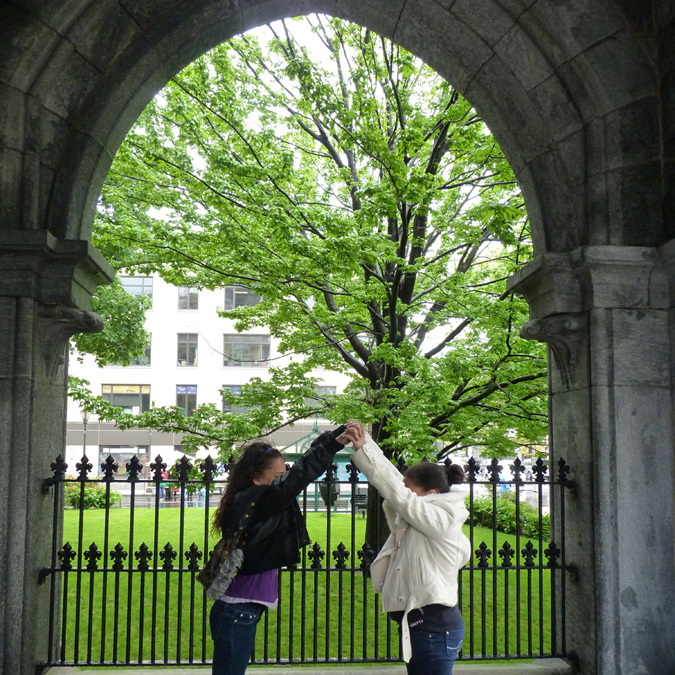 From November 2010 to April 2011, teachers at three Massachusetts schools (one school each in Boston, Holyoke and New Bedford) attended LBD:MA professional development workshops. Alongside LBD:MA master teachers and volunteer architects, the teachers gained the skills and knowledge in methods of “teaching by design” that prepared them for the teaching to come. From January 2011 to June 2011, teams of classroom teachers, volunteer architects and LBD:MA master teachers co-taught student design residencies. In these residencies students applied Art and STEM skills to solve architectural design problems and used local architecture as case study sites. 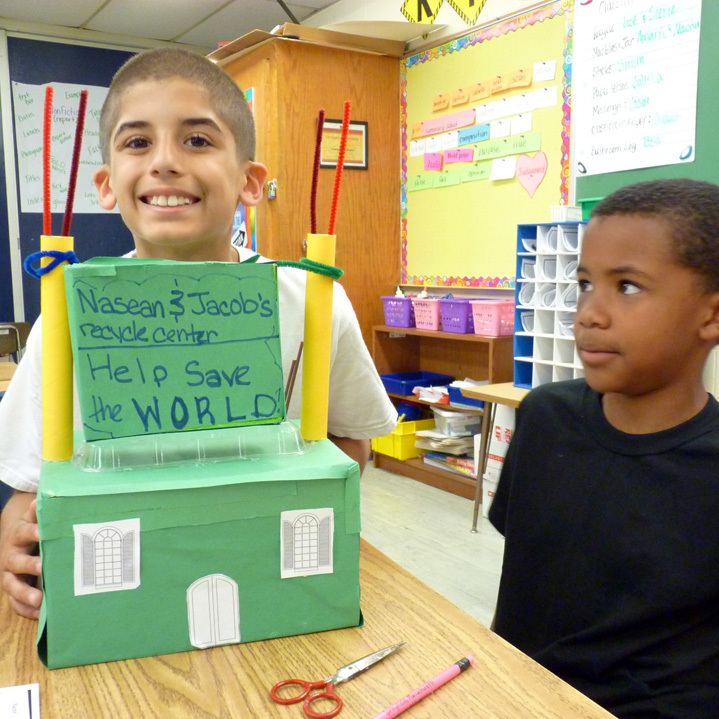 Fourth grade students at Peck School in Holyoke and second graders at Pulaski School in New Bedford took part in Box City: Architecture as Art, History and Story programs. 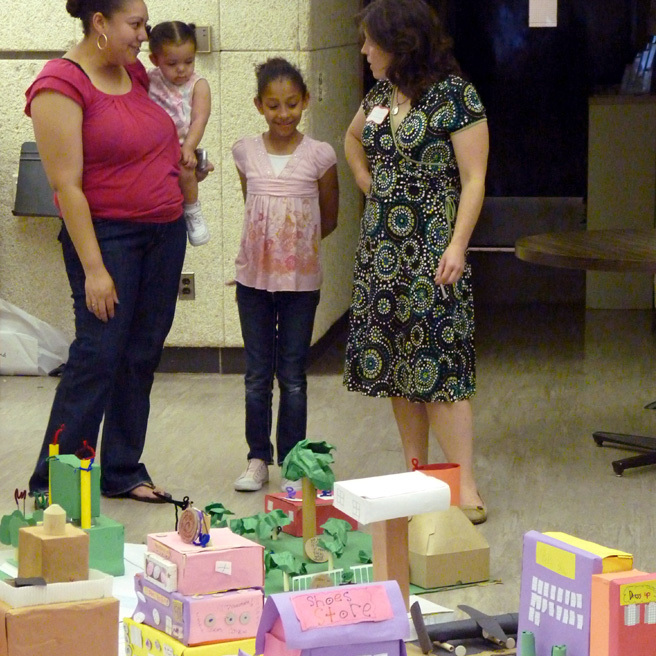 They read stories about spaces and places, toured historic city buildings, designed and build a Box City, and wrote stories about their scale-model community. 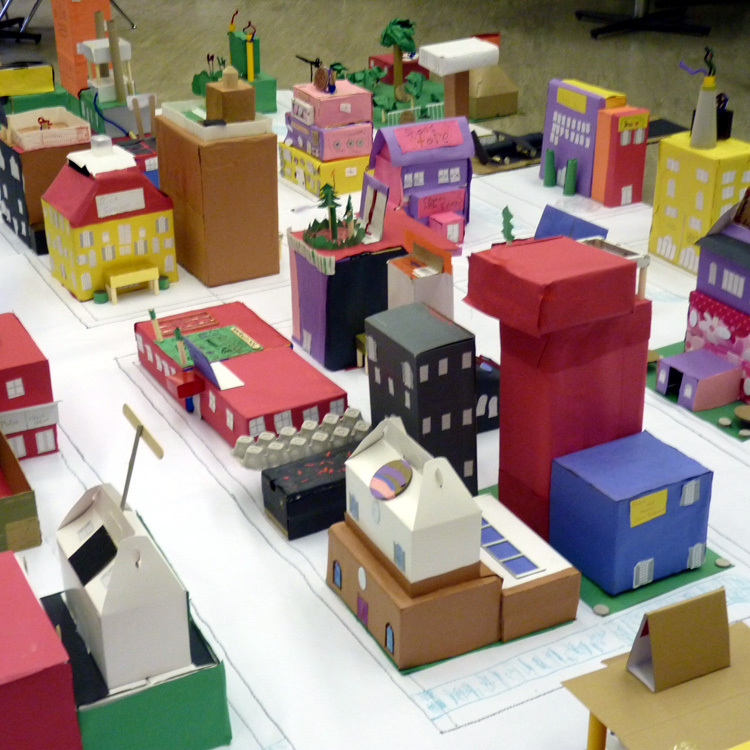 At Warren Prescott School in Boston, students in grade 3 took part in a Box City program that began with a walking tour of local architecture; and students in grade 5 took part in a Kids Design a Sustainable Future: Architecture as Art and Science/Engineering program. These students studied a green building, took part in activities on Site, Sun, Wind, Water and Materials, and designed Eco Centers.